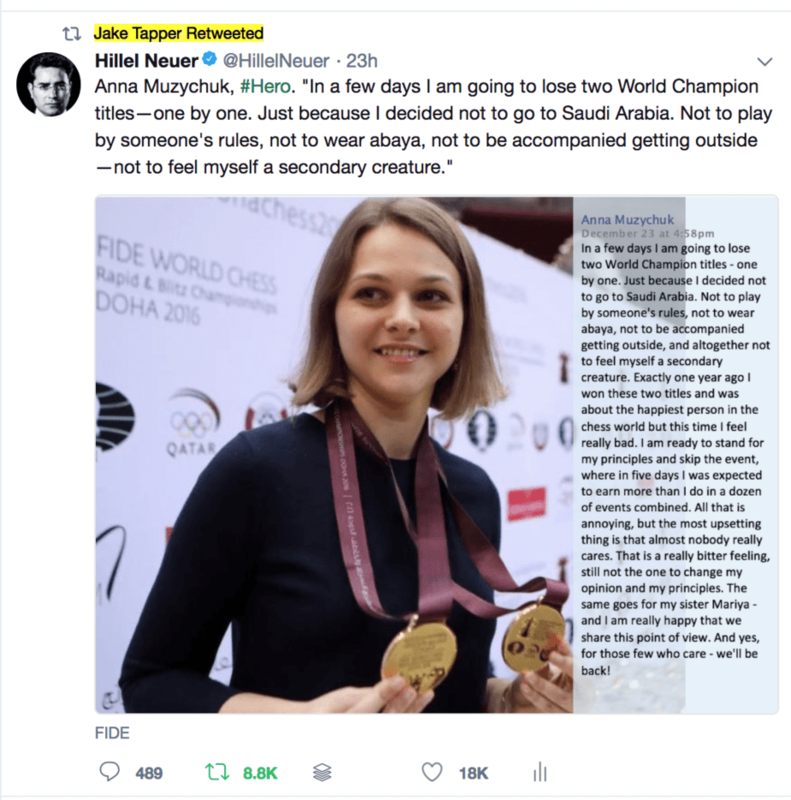 In this week’s top tweets: Chess champion Anna Muzychuk stands up to Saudi misogyny (8,000+ retweets); Lorde’s boycott hypocrisy; the U.N.’s silence on atrocities in Yemen; top 10 most evil U.N. actions of 2017; and CNN’s Jake Tapper cites UN Watch on the dictators who lecture America from the U.N. podium. 1. Israel pulls out of UNESCO. Because it demonizes the Jewish state, elevates murderous regimes, betrays mission to protect education, science, culture. Exposed: UNRWA inflates numbers for U.S., UK, EU, Canadian grants.